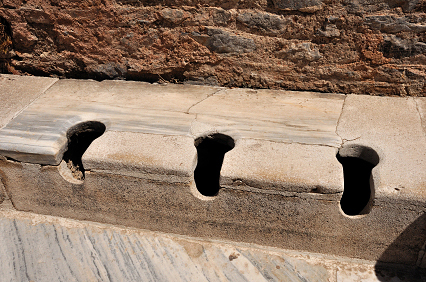 Toilets came into usage about 2800 B.C. in three different locations in the world, an idea whose time had come! While many employed simple chutes away from public areas, water flushing was introduced by 2500 B.C.